For those who feel they haven't been getting enough thymus gland or pancreas in their diets, have we got a culinary delicacy for you! Sweetbreads are the thymus glands and/or pancreas of calves, lambs and piglets under one year old. 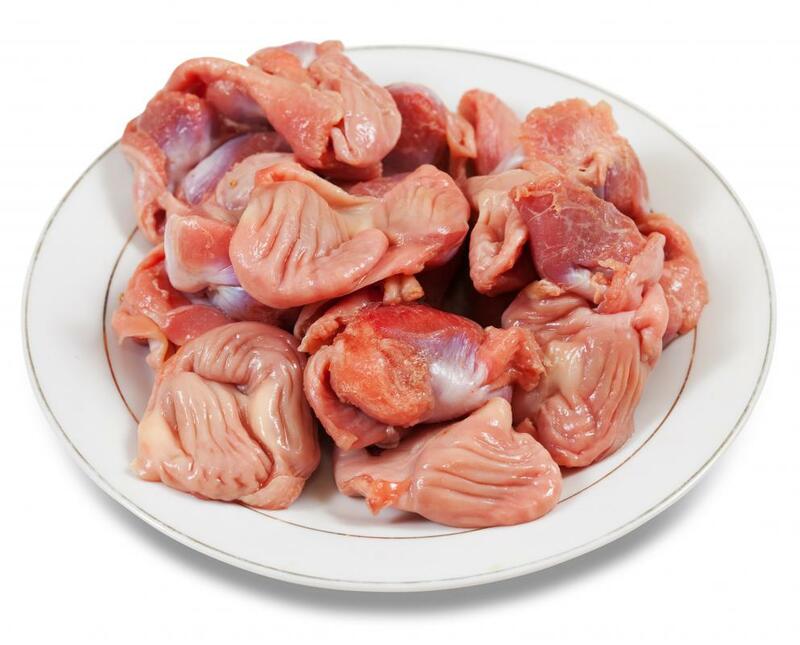 These glands are classified as offal in culinary circles, along with other parts such as gizzards and intestines. Unlike other members of the offal family, however, sweetbreads are considered a delicacy among those familiar with haute cuisine. They can be prepared in a number of ways, from sauteeing to deep frying, although the steps between the butcher shop and the table can be tricky and time-consuming. There are two separate glands which fall under the category of sweetbreads: the thymus and the pancreas. The thymus gland is located in the young animal's neck and is primarily responsible for excreting protective t-cells as part of the immunity system. Thymus sweetbreads are more irregular in shape than those from the pancreas, and are also considered to be less flavorful. For this reason, most are less expensive than their pancreatic counterparts. The pancreas varieties are located near the animal's stomach, and produce insulin and other digestive enzymes. This type is generally larger and rounder in shape than that from the thymus. Between the two varieties, the pancreases of veal calves are the most sought after by connoisseurs. Both the thymus and pancreas forms of sweetbreads must be properly prepared before they can be cooked. When raw, they often have a layer of fat and a sinewy outer membrane which must be peeled away first. Many professional chefs recommend soaking them in an acidic bath made from water and an liquid such as vinegar or wine. The sweetbreads should be soaked for several hours, and the water should be changed out several times. This process is said to make the membrane easier to remove and also drain off any remaining enzymes and blood. Ideally, sweetbreads should be white or slightly pink in color. The older the animal, the redder they will be. Once the sweetbreads have been peeled, deveined and washed, they can be blanched for a short time to reduce later cooking time, or they can be breaded and deep fried immediately. Barbecuing and grilling are also popular ways to prepare them. The taste is said to be reminiscent of bacon, although some say the main attraction is the silky texture, not necessarily the flavor. While sweetbreads may be difficult to find on many American menus, they are popular in other countries, most notably Turkey and Argentina. They are frequently barbecued or seared over open grills in those countries. Sweetbreads can be specially ordered in butcher shops, but it pays to know which variety you may prefer or are able to afford. Thymus is less expensive than pancreas, but they may be less flavorful. It is important to prepare them within 24 hours of purchase, and avoid buying ones that are deep red in color. How do I Make Sweetbreads? What are the Different Types of Thymus Cancer? How are Pork Kidneys Prepared? That stuff is dog food! Why would anyone eat that? I mean if you're starving and have no choice, OK, but to choose to eat this mess? No way! I have eaten sweetbreads for as long as I can remember, although it is becoming more difficult to find them in either restaurants or in butcher shops. I have never seen them offered the way my mother prepared them, which was in a milk based gravy. I don't know how she did it. @KoiwiGal - Yeah, veal calves are often treated quite badly, so it's a good idea to avoid veal products if you can. I actually wonder what the local farmers do with their sweetbreads, since we don't seem to have them in local shops. I hope they don't get sent to the dog food factories, because that would be a real waste for everyone (except, perhaps, the dogs!). @Fa5t3r - My father had that problem, actually. He loved organ meats, particularly sweetbreads. I don't know if the sweetbreads contributed, but I do know his doctor blamed his gout on the amount of liver (among other things) that he ate. He never knew where to buy sweetbreads locally, but we eventually had our own small farm and raised our own beef cows. They were delicious, and we could be sure that they weren't being mistreated, or slaughtered too young either. Dad would never have gone in search of veal sweetbreads. @anon105280 - Unless you go without eating sausages, I'm afraid you've probably eaten quite a lot of organs in your life. 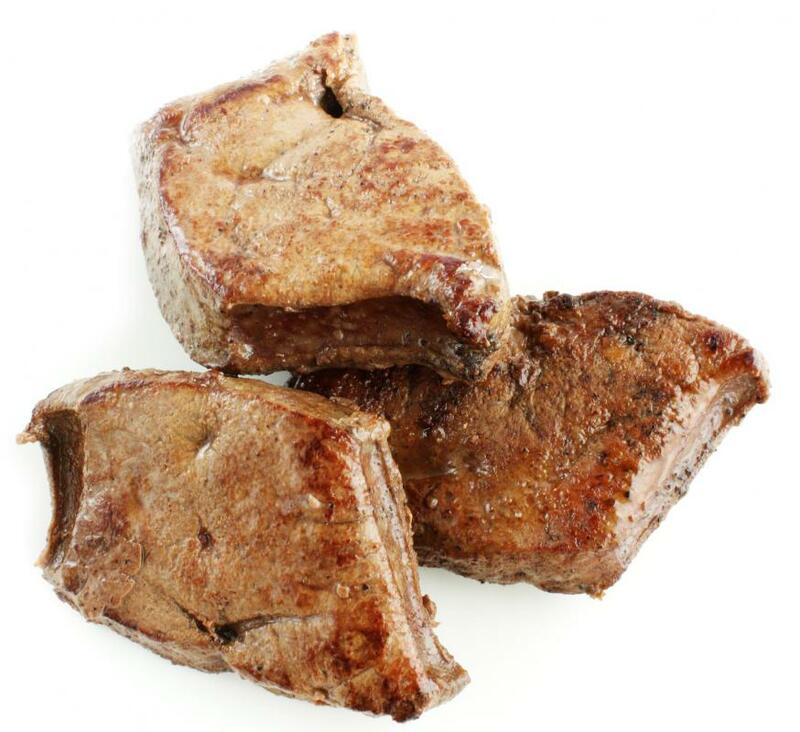 Organ meat is considered the choicest cut in many cultures, because it has the most vitamins and the richest flavor. It's actually quite strange that we've moved away from eating it in the USA, although in a way, it's a good thing, because it actually has so many vitamins that it can cause diseases like gout if you eat too much organ meat. And these days people aren't terribly good at stopping themselves from eating inappropriate amounts of food. Sweetbreads, or ris de veau, are the most delicious thing I have ever eaten in France. With morilles mushrooms, they are simply fantastic at the Le Channel in Calais. I go there especially to eat them. Most Argentine restaurants will have them grilled. Ask for mollejas (moyegas). the flesh is sweet vs savory, and bread is a derivative of the old english term "roast." I'm from argentina and yes try it. we did and like it with chimichurri BBQ, It's awesome. They are absolutely delicious. The texture takes a little getting used to, but the flavor is divine. I have to agree with anon111084. I used to be freaked out by what is now uncommon creatures and uncommon parts for eating. I would watch my 'brave' husband eat cow stomach, cow tongue, and squid like it was no big deal. I just wasn't used to it. Well, I have changed! I made a scrumptious lamb liver pate a few weeks ago and I am looking forward to more old fashioned cooking with all the wonderful tasting (and wonderfully priced)parts of the animals God provides for us. I find cooking and eating is more satisfying and simple than ever. Never say never. They are called "sweetbreads" because no housewives would buy something called "thymus gland", just as they would not buy "rapeseed oil" until it was renamed "Canola Oil." If I remember correctly, doesn't brede or bred mean to cook in old English? Or to roast perhaps. Since sweetbreads are very sweet cuts of meat, maybe it means sweet cooked or sweet roast. What is the difference? We eat the ribs of cows and pigs, butts and thighs and breasts- it is all just animal parts. Do you know what you are eating when you eat a steak? A rump roast? How about chicken breast? Nothing wrong with eating an organ, it is not poison. It is simply meat/protein. eating organs is foul? what do you eat? eating organs is a most disgusting and foul thing to do. Hard to say the actual derivation of the name but it is believed to be a combination of terms. "Sweet" versus savory, as are other cuts of meat. And "breads", a corruption of an Old English word meaning "flesh". yes, that is the question of the day. Why are they called sweetbreads? why are sweetbreads called like that? where this name come from?